This year saw the opening of the Dallas Streetcar connecting Downtown Dallas and North Oak Cliff and the extension of the M-Line streetcar. 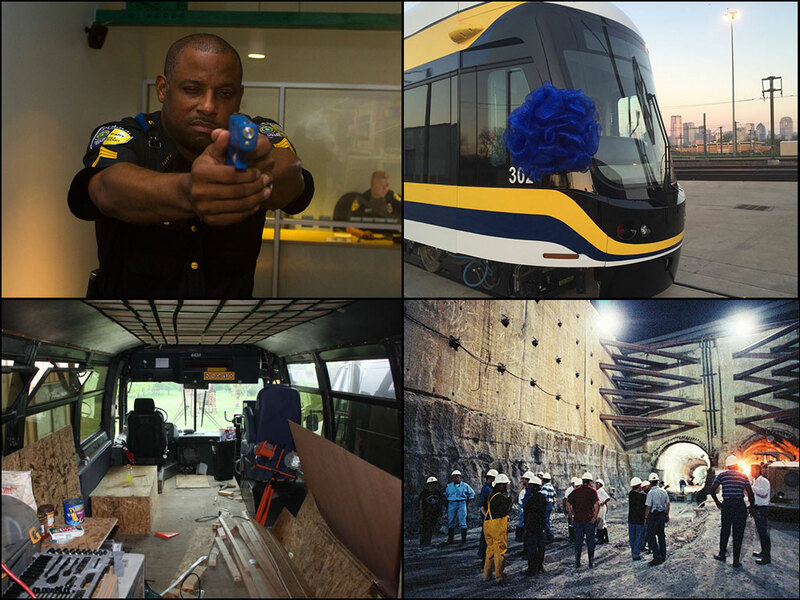 In recognition, we spent an entire week looking back at the history of the streetcar in Dallas. Here are two of the most viewed and my favorite posts. Dallas Streetcar Flashback: Confessions of a Streetcar Junkie: Don Gililland has been a DART employee for 22 years and a fan of streetcars for his entire life. He shares his thoughts on the original streetcar system that closed up shop 59 years earlier. Dallas Streetcar Flashback: See Dallas’ streetcar map from 1925: A reproduction of a 1925 map found in an office at DART headquarters is still garnering interest months after it was published. History fans cannot get enough of how Dallas looked and operated nearly a century earlier. A topic that comes up regularly is about the “hidden” Knox-Henderson Station and this year we addressed the questions once and for all. Thanks to help from Reddit and other social media this became the most viewed DART Daily post of 2015. In the fall, I was given the opportunity to try out DART Police’s use-of-force simulator. In a year filled with related stories about police shootings across the nation, we looked inside our own police department to learn more about how officers train for similar scenarios. The funnest story of the year came from a chance encounter with four Woodrow Wilson entrepreneurs. Evan and Hayden Faram, Ben Thevenet and Jordan Lee got their hands on an old DART bus and were partway through converting it into the ultimate mobile home and office for their website The Coolest Stuff in Texas. We met the friends, toured the bus and helped them get towards their Kickstarter goal to pay for the conversion.